Sometimes, simple makeover ideas are all it takes to turn the old garage doors into an interesting focal point of your home’s exterior. Nobody would say no to a new overhead door. 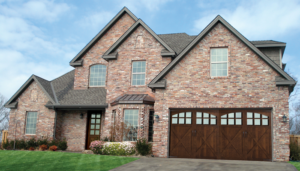 And there is no denying that the best way to revamp is to replace garage doors. But not everyone has the budget for such projects. Although garage door replacement is not entirely avoidable throughout the years, you need some smart ideas to upgrade the door once in a while and thus increase the curb appeal of your house. Isn’t it amazing that we have reached a point where a simple garage door remote clicker seems outdated? Technology runs. And we run along. You don’t need to invest in home automation systems to make your house smart. Look around. You have intelligent coffee machines and high tech security cameras reminding you of the large number of gadgets you own. Still. There is one device you never considered it a gadget, so far. That’s the garage door opener.